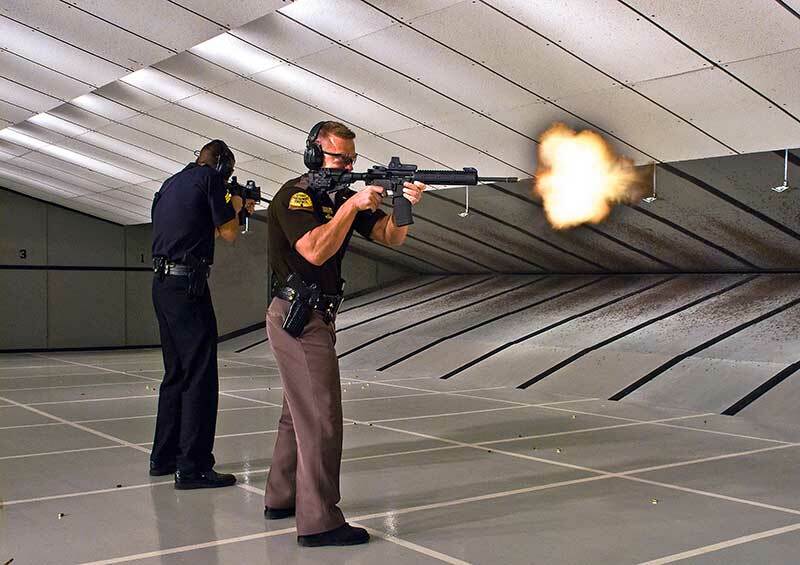 Action Target Inc. has developed the AutoTargets Bullet Trap Lifter (BTL) to provide an improved method of training for military and law enforcement in shoot houses. The BTL mounts directly to the Portable Bullet Trap and recognizes, reacts to, and records hits within the target area. Once the predetermined number of hits on the target is reached, the target retracts into the base of the bullet trap. Targets also communicate wirelessly via the AutoTargets app. Through this app, trainers can assign unique hit-to-fall requirements for each target, which helps students learn appropriate use of force and threat recognition. Trainers also have the option to assign a point value to fall, which means that more accurate shots can be assigned a higher score than non-vital shots. The Portable Bullet Trap can be used with all calibers common to CQB training and is safe for training at close distances. The lightweight trap (up to 500 lbs. lighter than other comparable traps) can be easily moved to other locations within the shoot house. Patented features include an easy-access waste tray to quickly remove lead and jackets from the trap for simple recycling. Additionally, an innovative wheel skirt prevents interference with brass casings and debris on the floor, allowing for maximum mobility. 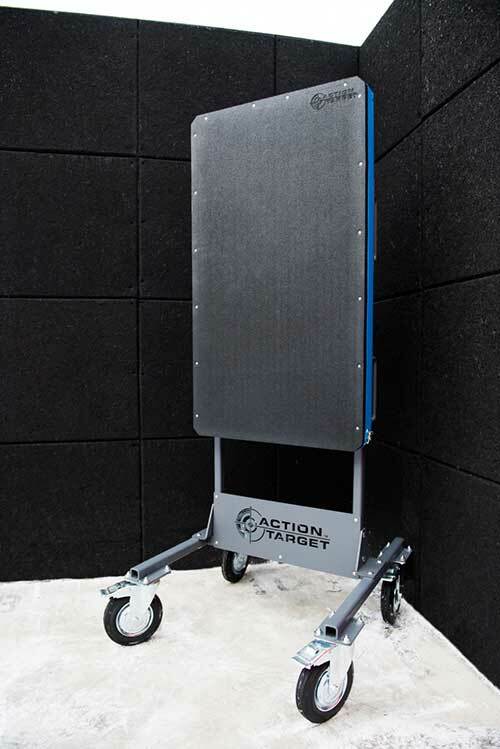 “One of Action Target’s primary objectives is to leverage technology to enhance the shooting experience. By integrating smart systems with our products, we enable users to create customizable training scenarios and gather unprecedented data through mobile applications,” said Kevin Tomaszewski, VP of Marketing and Engineering at Action Target. The control app for the AutoTargets may be downloaded for free on Google Play Store, Apple App Store and Kindle App Store.